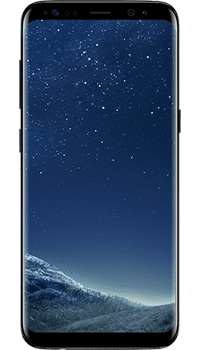 If you are wondering how people are getting on with their Samsung Galaxy S8 Black then have a quick read of these user reviews and ratings. I was considering buying the new S9 for a number of months, however when you look at the specifications there's not a whole lot of difference! What is different is the price though .. Picked up mine for just £23 a month with £0 upfront! Thanks Phones LTD, great service! awesome phone awesome deal > thanks phonesltd! Was going to go for the samsung s9 but looking at the specs the s8 really wasn't that different and far cheaper. Got a great deal just before the price went up so really happy, thanks! Really lovely phone and a huge improvement on my old Samsung S6. I love the new screen, it really does stretch right to the edges. Even though it is a lot larger than my S6 it's actually no bigger to hold which is excellent. The camera is also far better, takes some really nice pics and videos. Very happy and would recommend. nice screen, feels good, camera is top notch and battery charges fast nothing like it or even comes close!! GOT MINE AND LOVE IT! Have you used the Samsung Galaxy S8 Black? Please take a moment to send us your review. This will help others decide if it is their ideal phone.